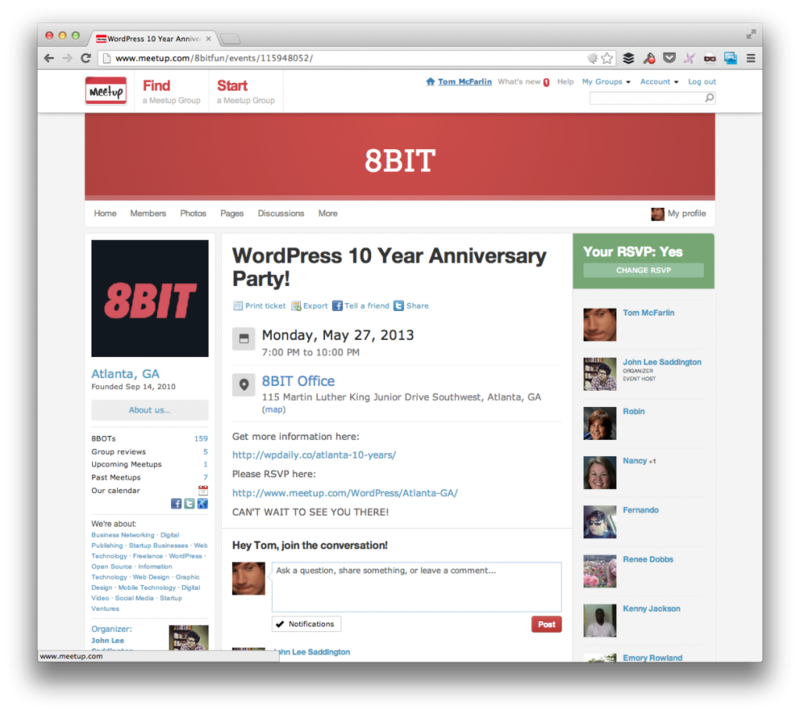 Come Celebrate The WordPress 10 Year Anniversary in Atlanta! Unless you’ve been working to avoid anything and everything related to WordPress over the past month or so, then you already know that we’re about to celebrate the WordPress 10 Year Anniversary. The neat thing is that meetups are happening all of the world tonight in honor of our favorite publishing platform. 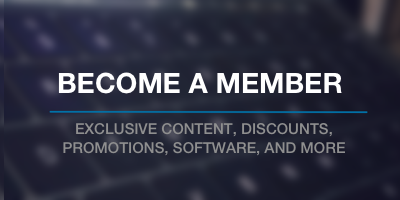 In fact, my team and I are hosting the Atlanta meetup at the 8BIT / WP Daily Office. In the meantime, be sure to drop by our WP Daily post and thank WordPress for however it has impacted your life. Overall, the team and I are looking forward to having a killer time hanging out with everyone, chatting about all things digital publishing, and celebrating 10 years of pressing those words (what a terrible pun). So, how many of you guys are coming? And if you’re not in the Atlanta area, are you attending a meetup? i’ll see you there! amazing! i can’t believe you’re coming!